(26 October 2018) China’s economic boom and increasing income levels augur well for its ASEAN partners according to a recent report by the ASEAN+3 Macroeconomic Research Office (AMRO). The AMRO research team described China and ASEAN as “natural partners” and said that there are good prospects for broader and deeper integration in the next two decades. The AMRO report also indicated that trade in goods between China and ASEAN would continue to thrive. This development is due to increase in market size on both sides, greater cooperation in trade facilitation, enhanced connectivity and continued relocation of labour-intensive and other types of manufacturing activities from China to ASEAN. (25 October 2018) Philippine Economic Zone Authority (PEZA) Director-General Charito Plaza said Chinese firms are looking to shift operations to the Philippines amidst increasing tariffs following the trade conflict between China and the United States. According to Plaza, at least three groups of Chinese investors have expressed their intent to invest in the Philippines. However, these investors are holding off their commitment due to the uncertainties of the TRAIN-2 (second package of Tax Reform for Acceleration and Inclusion) or the TRABAHO bill (Tax Reform for Attracting Better and High-Quality Opportunities). Plaza further elaborated that the main reason for these firms to invest in the Philippines is the competitive financial incentives provided by PEZA but with the rationalisation of fiscal incentives under the TRABAHO bill, some of these incentives might be neutralized. (30 October 2018) The Bank of China Manila Branch, together with 13 Philippine banks, jointly ratified the launch of the Philippine Renminbi (RMB) Trading Community, a platform to improve trading and monetary transactions between China and the Philippines. Following the signing of the Memorandum of Agreement (MOA) on 30 October 2018, the Philippines business environment would see the establishment of a fair, transparent and robust domestic RMB market. Head of the Bank of China Manila Branch Deng Jun, said the platform would allow for the efficient and cost-effective clearing and settlement of the renminbi for Philippine firms that intend to access the Chinese market and enhance their business relationships with Chinese firms. The platform would reduce foreign exchange risks and conversion fees which would lead to about 3% savings in transaction costs. (27 October 2018) Singapore’s Minister for Trade and Industry Chan Chun Sing said that the Belt and Road Initiative (BRI) is a significant contribution to the world economy. In an interview with visiting reporters from China, he said the success of the BRI would rely on how the partners and stakeholders cooperate to shape the initiative going forward. 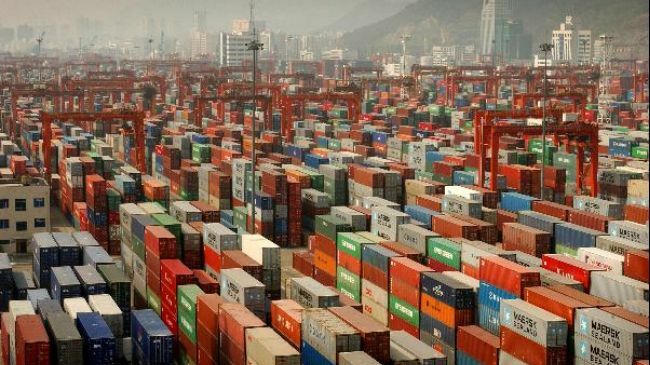 Chan said efforts should be made to upgrade the World Trade Organisation (WTO) provisions of the multilateral system given the realities of current global realities. Chua further stressed that nations around the world should collaborate to integrate production and value chains rather than resort to protectionist measures which would only result in fragmentation and isolation of production and value chains. (25 October 2018) Singapore, through the Infrastructure Asia program, will be assisting emerging Asian countries with banking and legal services for infrastructure projects. The move is meant to make Singapore a vital player in agreements related to the Belt and Road Initiative (BRI). The Infrastructure Asia program aims to back infrastructure projects such as roads, harbours, airports, railroads and power stations. The program realises Singapore’s financial and professional sectors playing various roles in projects such as the planning stage, evaluating initial budget, estimating construction time and ensuring that the costs do not exceed the budget. Singapore intends to introduce planners to Singaporean banks, insurers and investment funds, and will also collaborate with the World Bank, the Asian Development Bank (ADB) and the Chinese-led Asian Infrastructure Investment Bank (AIIB). According to ADB, developing countries in Asia only invest about US$881 billion a year on infrastructure, well below an estimated annual need of US$1.34 trillion from 2016 through 2020.